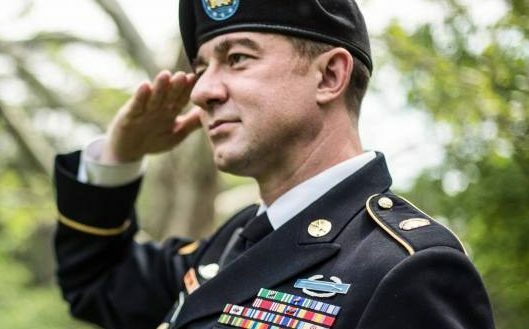 On September 14th, a Virginia federal court ruled that a case filed by Lambda Legal and OutServe-SLDN, along with pro bono counsel from Winston & Strawn LLP challenging the military’s discriminatory policies governing the enlistment, deployment, and promotion of service members living with HIV, will continue, by denying the government’s motion to dismiss. The plaintiffs’ motion to halt implementation of a new Department of Defense policy that likely would have resulted in the discharge of service members living with HIV, was also denied, because the Pentagon modified the policy after the plaintiffs filed the motion. said plaintiff Sgt. Nick Harrison. These service members are being denied significant career advancement opportunities and even threatened with discharge due to the Defense Department’s long-standing discriminatory policies. Left unaddressed, hundreds of service members, who are otherwise fit for duty, including plaintiff Sgt. Nick Harrison, will be discharged from the military, suffering irrevocable harm to their careers, and losing critical health care and other benefits. said Scott Schoettes, Counsel and HIV Project Director at Lambda Legal. Under long-standing DoD policies, those who are serving stateside after an HIV diagnosis are denied important career advancement opportunities, and are not allowed to commission as an officer. Sgt. Harrison was denied a position in the Judge Advocate General (JAG) Corps because his HIV prevents him from commissioning as an officer. Currently, service members who are diagnosed with HIV while in the military, like Harrison, are classified as non-deployable without regard to their fitness, while people who have already been diagnosed with HIV are not allowed to enlist or commission as officers at all. The revised version will create a new category of deployment-limited personnel that the military will not discharge under the new policy, and the government’s lawyers have indicated that people living with HIV are likely to be reclassified into this category. OutServe-SLDN is also an organizational plaintiff in this case to advance the interests of its members who are living with HIV. In a companion lawsuit entitled Doe v. Mattis, Lambda Legal and OutServe-SLDN are representing an anonymous service member living with HIV, whom the Air Force refused to commission as an officer after he graduated from the Air Force Academy, despite recommendations from medical personnel. said Peter Perkowski, Legal Director of OutServe-SLDN. Read a copy of the Motion for Preliminary Injunction. Lambda Legal is an American national organization committed to achieving full recognition of the civil rights of LGBT people and those living with HIV through impact litigation, education and public policy work. ← Winter Pride Maspalomas 2018: Your Winter Pride Hotel Discount!